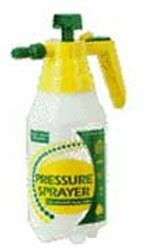 Delta keeps your spray bottle assortment up to date, and is an economically priced pressure sprayer that works!!! Our newly designed model sprays continuously after quick priming. The nozzle adjusts to a mist, spray, powerful stream, and anything in between. New Lever-Loc hold the sprayer in the operations position. Ounce & metric scales plus complete usage & maintenance instructions are permanently printed on the unit. Easy to fill, clean and re-use. tough, long-lasting & lightweight. Big 1-1/2 quart capacity. For home, garden, auto, office, factory, restaurant, apartment, shop, etc. For weed control products, pesticides, germicides, carpet spotters, liquid cleaners, waxes, mildew & stain removers, fly spray, lubricants, livestock care, plant misting, etc. Delta keeps your spray bottle assortment up to date, and is an economically priced pressure sprayer that works!! !